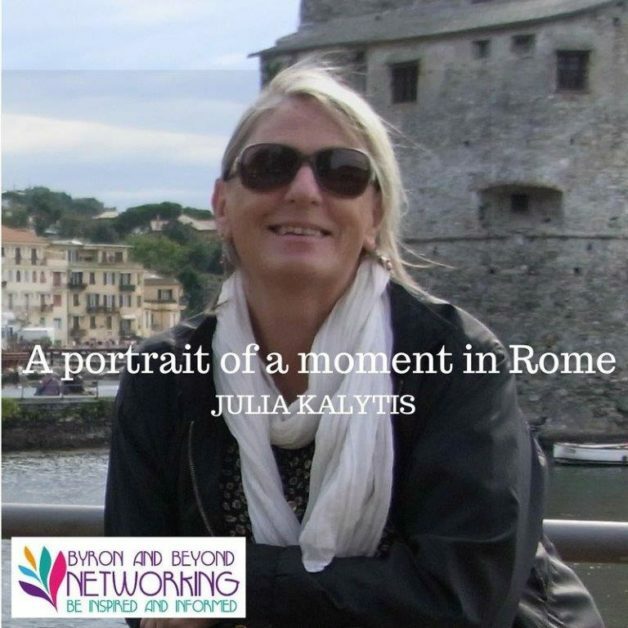 Hope you all like this little portrait of a moment in Rome from Julia Kalytis. I have lost count of how many times I have been to Italy, but every time I arrive in Rome I do the same thing. I go to one of my favourite trattorias, usually in Prati or Trastevere. I always order the Carciofi alla Giudia; artichokes cooked in the Jewish way, pushed into a deep pan and fried to a crisp in oil. You eat the leaves like potato crisps until you arrive at the tender heart, which tastes divine. I follow with a quintessentially Roman dish, Saltimbocca alla Romana, a combination of veal, prosciutto and sage leaves. I think it’s the best veal in the world and drizzled with the juices from the pan it is unbeatable. To accompany this first meal I order oven-baked potatoes with olive oil and rosemary and a little jug of Frascati white wine from the hills around Rome. That’s it. I love it and I know that I have arrived! Julia is presenting for us on Thursday 27th July all about travelling well, particularly to Italy.